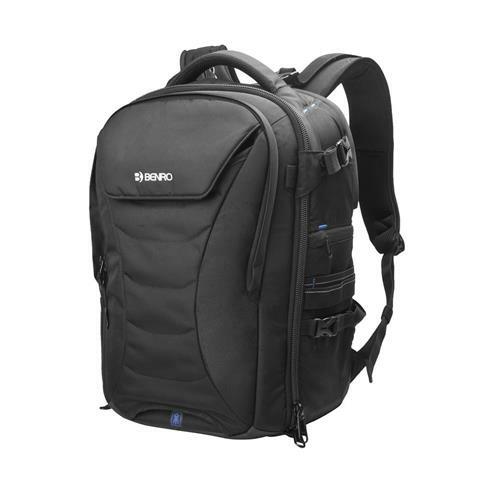 The Benro Ranger series consists of three traditional style backpacks, three shoulder and two zoom style bags, all designed to offer lightweight but protective carry solutions for your camera gear – whether DSLR or Mirrorless. Manufactured from water-repellent nylon, all bags in the Ranger series feature soft lined internal compartments with adjustable dividers and durable zips. The Ranger backpacks feature 3-way access to the main camera compartment, a padded front pocket suitable for tablet or laptop, internal storage for spare batteries and memory cards, a ventilated padded harness system and a waterproof base. Shoulder and Zoom bags feature more compact storage options but still with plenty of room to carry plenty of accessories such as memory cards, batteries and filters.